Escaping the snowbound northern states is a popular winter past-time and so is magic in Phoenix! We've compiled a list of the best Phoenix magic shows so that snowbirds and locals alike can add a little fun and excitement to their entertainment schedule. 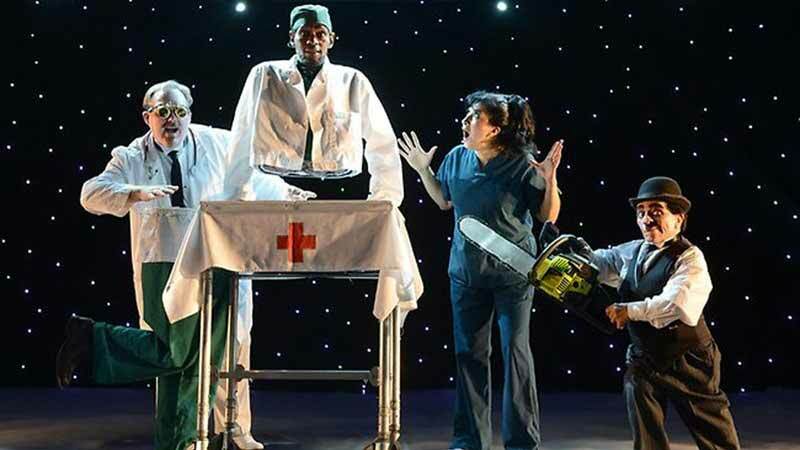 Phoenix gets a lot of traveling illusion shows at the many venues scattered throughout the area, and they also have some great long-standing acts that thrill audiences week after week. Keep checking back to see who might be coming to town. Phoenix may be hot, dusty and dry, but we're here to help you whet your appetite for some great magic. 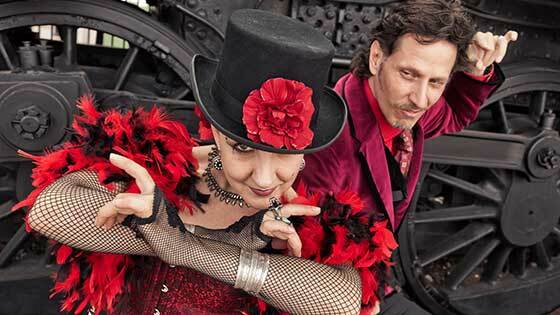 Carnival of Illusion is Arizona's longest-running magic show. You can see them at four different venues throughout the Phoenix and Tucson areas. Their intimate parlour show features Roland Sarlot and Susan Eyde, whose fun banter and magical abilities will have you engaged, thrilled and stupefied. This is up-close magic with lots of audience participation and a generous sprinkling of the intimate and personal. Check their website for dates and various locations. Ivan's show Secrets and Illusions takes you on a journey to Paris, where you will be taken through the Louvre Museum galleries, accompanied by live cello music... the musical muse bringing to life priceless works of art and illusion. Each artful vignette is thoughtfully created, weaving stories and magic throughout. This show has a blend of audience participation and storytelling. Check out the show in Phoenix while Ivan takes a break from his regular running intimate LA illusion show. July in Phoenix is sizzling hot, but that doesn't scare off magic convention goers, who will flock to the Talking Stick Resort in Scottsdale to learn, show off, and enjoy all kinds of magical delights. Teens can enjoy the free Lance Burton Seminar, and that's just the beginning. There will be lots of lectures, demonstrations, and booths, but also some great entertainment is on the slate for the evening performances. Register for the convention to receive free tickets to the evening shows. 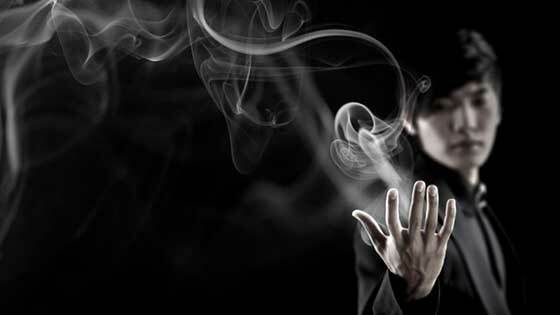 Eric became fascinated with magic at age 12 when David Copperfield came to his home town of Anchorage Alaska, and Eric decided to make magic his life's work. He and his lovely assistant will perform a variety of magic classics as well as some of his own special unique illusions. Eric has performed around the world and now makes Phoenix Arizona his home. You will often find him traveling all around the Southwest with his magic. Eric has a show that he does once a year in Chandler Arizona. Please check his website for the next planned date for this yearly show. Arizona holds a peculiar beauty and magic--from the Grand Canyon to the petrified forestâ€”itâ€™s an unusual place to find this mix. Most people wouldnâ€™t think of the desert as in this way, but Phoenix, Arizona is exactly that, a place of beauty and steeped in magic. Way, way, waaayy, back in history there was a large patch of desert that looked great to the native peoples. So, they decided to build a civilization that thrived. Starting with the Hohokam tribe, who broke ground in the greater Phoenix area, they were eventually succeeded by the Oâ€™odham and other tribes. The heavy use of canals to divert water and make the ground farmable was a modern engineering feat that must have looked like magic to the newer kids on the block--the Spanish. And like almost every historical tale of find and conquer, the Spanish showed up to claim that dry and dusty land for Spain. Maybe they realized it was really hot, or they couldnâ€™t figure out the magic of using canals, but they didnâ€™t do much exploring and/or building before 1800. Though, with their â€œadvancedâ€ technology, they must have appeared very magical to the native peoples. As westward expansion thrived, people wanted the thrill of living on the surface of the sun, so they migrated to Phoenix in hopes of making a good life for themselves. And then it happened, the late 1800s saw Phoenix and the surrounding areas become incorporated into a city. Fast forward a century with the inclusion of the railroad and abracadabra, Phoenix is a thriving city. Post World War II saw the city swell with GIâ€™s returning to the land where they were trained. Shops, businesses, and entertainment also swelled to meet the demand of a growing city. One pioneering magic entertainer was Bert Easley. Born in 1904 in Shawnee, OK, Bert migrated to Arizona in 1917 and started performing magic tricks during the Great Depression. Changing his focus from song and dance to magic, meant he had a paying job at a time when there were too many entertainers, none of which were making any money. Bert worked as a professional magician until 1947, when he returned to Arizona and opened his much beloved Bert Easleyâ€™s Fun Shop in Phoenix. Jack Sutherland was one of Easley's best salesmen and a practiced magician. He had a slick, almost Vegas style about him, and he was to become good friends with Harry Anderson, a well-known actor and magician in his own right. Jack loved to crack jokes and help the up-and-coming magicians learn new techniques and illusions. Jack eventually left Easley's to start his own business called Sun Magic. All seemed well in Jack's world until the fateful day when he was murdered. He was unable to magically dodge the bullet that killed him, shot by a jealous ex-boyfriend of his then wife. Another magician who helped shape the Phoenix magic scene was Danny Dew. Danny was born in Mississippi but studied dance in St. Louis, before joining the Vaudeville scene. As part of Vaudeville, Danny fell in love with magic and started to study. He studied under greats like Vernon, Silent Mora, and Emil Jarrow and quickly became a talented performer. He and his wife settled in Arizona in 1944 and he continued to wow audiences with his magic. Contemporaries Bert and Danny werenâ€™t satisfied with simply pulling rabbits out of hats, and so they formed a magic club called Ring 55. The original founders were known as the Mystic 13 and oddly enough, very little is known about this mysterious founding group. Later, the group became part of the International Brotherhood of Magicians and rebranded themselves as IBM Ring 55 Magic Club. 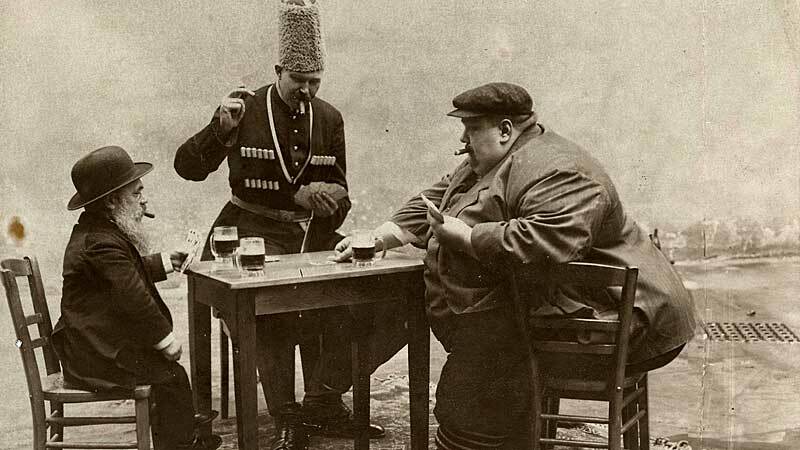 The club is still active today with some of the best magicians the area has to offer. 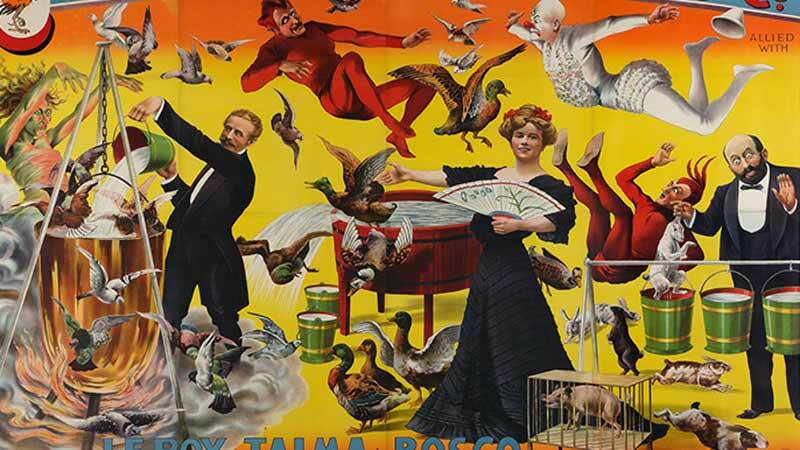 Today, there is no shortage of entertaining and mind-bending magic shows and illusionists. Artists like Carnival of Illusion, or other world-class acts, perform regularly for those who live in Phoenix or are just passing through. Phoenix truly is a place of magic. The Illusionists are just that... a group of international super-star magicians that put on a technically spectacular stage show full of surprises. The line-up of magicians is never quite the same each time they come through your town, so feel free to go again, even if you saw them last year or the year before. You'll see at least five different performers who will razzle, dazzle and astound you with their various acts, each one performing a different style of magic. If you miss them in Arizona, they regularly perform a NY illusion show. Ivan brings his special brand of illusion to Phoenix, which includes storytelling and live classical cello music. Ivan's shows have been described as intimate and theatrical. 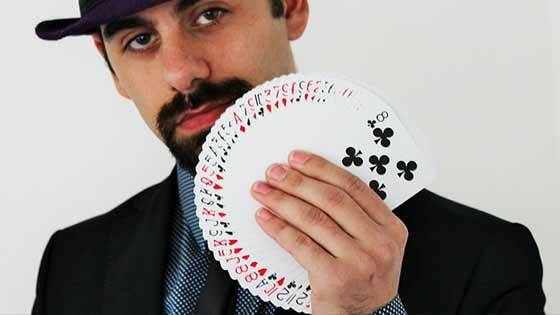 He is the winner of the season 3 finale of Penn and Teller's TV show "Fool Us". 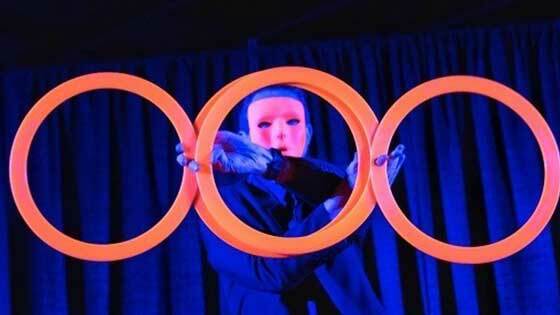 If you miss him in Phoenix, check out his LA illusion show. Arizona may be a desert geographically but it is not a desert magically. With weekly illusion shows in multiple cities and regular traveling shows too, Phoenix magic shows have a long and rich magical future.